They were packed and sent yesterday. 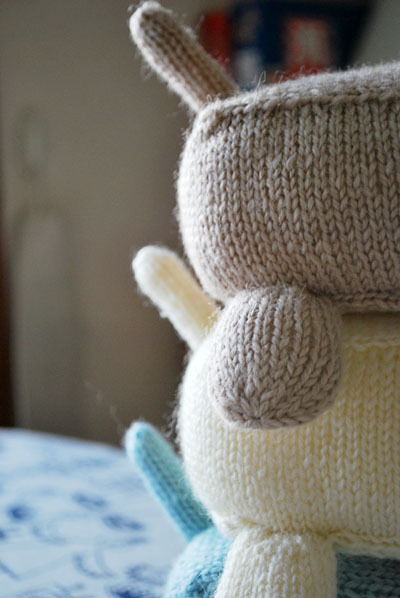 It took me quite a few nights to knit. 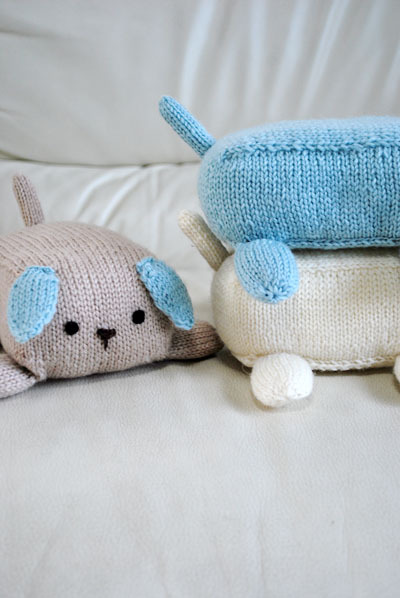 My knitting is very slow, and that my stitches are so irregular. There is no wonder why they became looking funny. 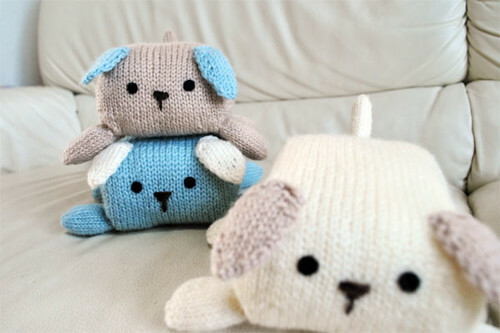 They are made from much love. Probably that's all I was going to say. 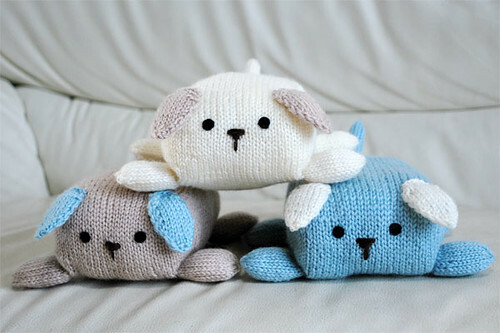 I made those three gangs for my friend who's been sharing wonderful experiences with her very young son. 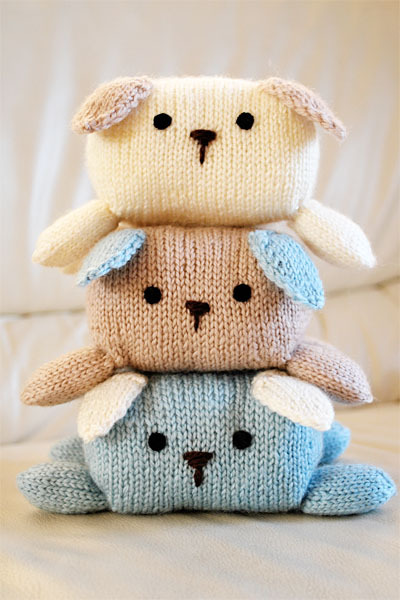 I love the mochimochi cuties! They are so awesome, they make us smile. 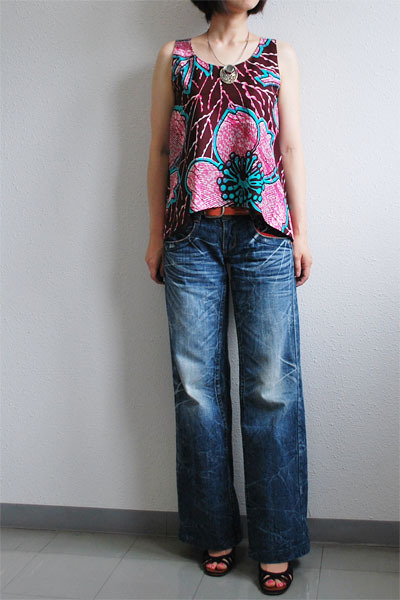 (1) I've had a few enquiries about TAMANEGI-KOBO and its pattern since I posted this Novita blouse. For the readers who are interested in the shop's pattern, maybe it's good to know that all patterns are going to be on 30% discount from 1/Sep 10:30 to 10/Sep 17:30 (JST =UST+9), according to the shop's blog. (2) I changed my mind. I am a good friend of those internet shops which make me happy, from now on. No enemy no lazy any more. Links will be more frequently put as long as my strength lasts. I hope you don't mind. (3) Miho from TAMANEGI-KOBO has just sent me a message, asking to tell you that if you don't receive an e-mail with URL for your purchased pattern(s) in 2 days after placing the order, she would like you to ask to contact directly to the shop since there must be a technical/internet trouble such like mail delivery failure. 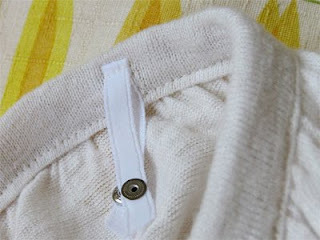 I sewed a top in a white beige linen jersey for the coming season using Vogue 8581. I have been thinking of making some pullovers in such style for my sister for some time, and it was a muslin kind of sewing to check the possibility of the pattern. I used a small piece of very soft and slightly slack-ish linen jersey for this test. In the process, I needed to reduce the amount of gathers on the neckline along with the width of bodice and sleeves significantly because of my limited source of material. You may wonder whether there is any meaning in a muslin when I change things too much without any theory before checking default, and I sincerely agree with you. It was nonsense! But in reality, I managed to find some sense here, I mean that it turned out not so bad, including the amount of the reduced gather around neckline in this fabric as well as the flabbiness of the sleeves. OK, I like this. My sister would like this too. Another small reason why I wanted to make it in this fabric was that I wished to have a top for those necklaces. 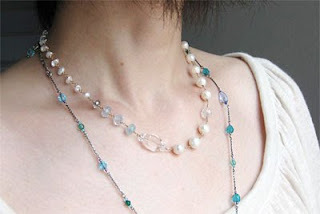 The one with white pearls and pretty stones is my most favorite one, but because it is very delicate and gorgeous at the same time, I don't get many chances to put it on unless I choose my outfit carefully. If I dress very dressy for it, I'd look badly over dosed (dressiness-wise). For me it's also a special one because it was a gift from my husband, for celebrating our 18th wedding anniversary on this year's February. I wanted a courageously wide necked plain top that would go well with it, and I chose this light colored and not-too-feminine slack(I used this word twice because I love mocking myself for fun, even though the fabric was beautiful, just in case) linen jersey for my plan. I love the result, because now it doesn't look too dressy on me with the blouse. 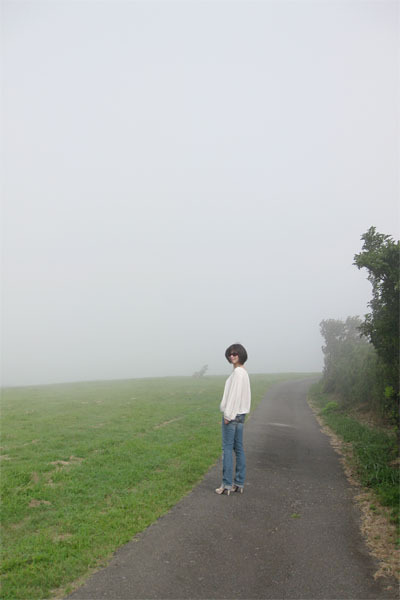 In case you are interested in the exquisite selection of pretty stone accessories and also you are living in Japan, please drop by "nanagatsu", to have a look at my dear friend Natsuko's work. By the way, do you worry about the bra straps which are trying to peep out from your wide neckline? Do you know why I look this fearless with this wide neckline? I put a set of ribbons with closing snaps on the blouse. I don't know how we call them actually, "Shoulder Strap Fasteners", perhaps? 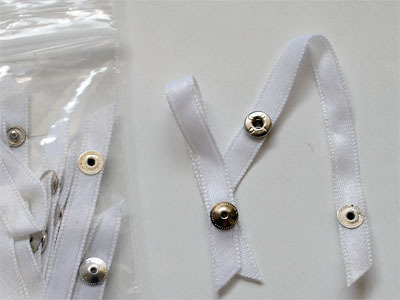 In my country, they can be purchased at sewing material suppliers. I do recommend them if you are needing more security on your shoulders. FYI. If you are one of PR members, you can find my review for this top here as well. Though I already had enough dresses for summer, I sewed another one. It was my wish that I sew a little white summery dress for myself for this summer. I had no particular idea or wish for the style of it, but I wanted it very plain and very comfortable. I have been saving an enormous number of images of white dresses from everywhere on my desktop screen to make myself ready for the project since March, but nothing had happened until I got my first vogue 2900 dress. To be correct, my brain-hibernating-in-summer-instead-of-winter suddenly woke up and started working after the dress. I mean, the pattern inspired and kinda convinced me that it would make a great white summery dress. I ran and pulled out a linen from my stash and had a go before too late. It didn't make me have a "little" dress though (it's rather BIG), I really like the result and feel that my wish comes true. Yes, yes, yes. OK it's time for hibernation, again. I'll talk to you when the first cool breeze comes! Dresses A, B have bodice with angled seams, yoke and side front pockets, invisible zipper closing. A: edgestitch finishing. B: ribbon trim finishing. A, B: flared skirt with narrow hem. I chose style A.
I used size8. According to the size chart I should make size12, however, I knew that size8 of this dress in Style B fit me well, I cut in two sizes smaller, and it was successful. Considering that I tend to like narrower ease on most dresses, I think size12 of this dress is too big to my measurements generally after a sequence sewing of two dresses from this pattern. I like the long skirt of the dress, and the deep slash of the front neckline. I'm not fond of the low waist style generally, but I think it's one of the charms that the pattern has. I don't think I can raise the waistline too much, as long as I'd like to keep the loveliness that the designer wanted to achieve in this dress pattern. I placed an invisible zipper on the left side, instead of having it on the back, because I prefer to avoid a string of hard material along the center back of my dress. I don't count it as a dislike though. Plain woven white linen. Soft, hanging, giving a slight bouncy feeling. Not so transparent, can be worn as a single layer. I have put the invisible zipper on the left side, instead of putting it in the back. I cut Bodice Back(4), Back Neck Facing(10), Skirt Front(12), Skirt Back(17), Yoke Back(19) and Yoke Front B(20) "on fold". I used "petite" lines for shortening all of the bodice parts, although I'm not petite(166cm) or short-waisted. I'm not sure if I sew another one soon, but it's because I've made two of these dresses for this summer, already. Yes, I recommend the pattern, it makes pretty dresses! Because I loved the first dress that I made from this pattern very much, I was curious to see how the other style would look. Though the first one that was cut in bias fit me way too better (you can see ill-fitting around my collarbones on this dress, which I least like), I'm quite happy with this white straight-cut version too. I was kind of hoping this one to be slightly baggy and less fit, and I can say it went as I wished. 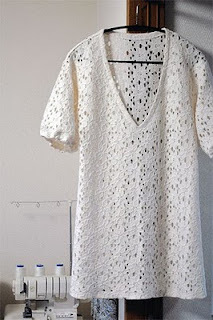 I think this is very casual white linen dress that I'd choose straight away on a very summery happy day. I love this pattern, both style A and B. You might know that I sewed a vogue 2900 dress the other day. I found it very charming, especially on a human, and the dress inspired me a lot in sewing-wise. Actually, it has brought me two pieces of new garments that I'd post here today and soon. The fabric I used for the dress was an African wax printed plain woven pure cotton fabric. For dresses, I generally prefer thin, soft and delicate fabrics that would hang well and make beautiful drapes. However, it was absolutely different. It was not thick, but it was coarse, hard, and rigid as a piece of thick paper, even after three hot and good washes before sewing. I cut it in bias hoping this to give a better fit, and I think it worked very well. The fabric holds the shape of the dress very nicely too, without having obvious unwanted humps or bumps. And, I realized that it was absolutely comfortable in the fabric (err.. dress). It was like living in an air-conditioned soft shell that doesn't cling too much. I've learnt that I just didn't know what to do with this kind of fabrics. They can make vivid clothes that make me delighted, when the right patterns are chosen. I wanted to try just once more to make sure of it, before I forget everything about it. So I sewed this bias-cut simple blouse in a stupidly big flower patterned beautiful African wax printed fabric. 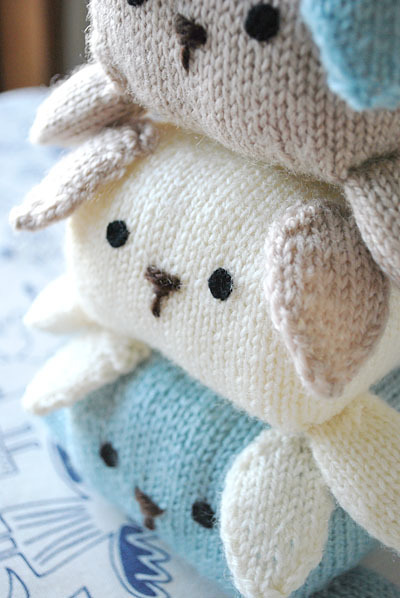 The pattern is called Novita, and was purchased as a PDF file from TAMANEGI-KOBO. After omitting the collar and the frills on the shoulders, the blouse became even simpler. You may say it's too simple to have a thought on it. Nevertheless, I ask you to guess how much I love it. Yes, I love it a lot. I hope you'll find it interesting, too. Moreover, I'd love to ask you to never mind the gigantic flower on my tummy, which was placed where it'd make you feel a bit insecure. These flowers were too big to place anywhere anyhow, that's what I learned this time! I made Novita's Reversible Bag, again. 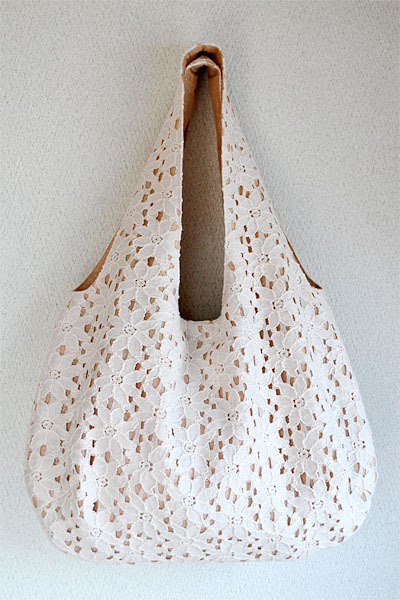 This time I recycled the fabric for the bag, using cotton lace that was once sewn to make a tunic in May. 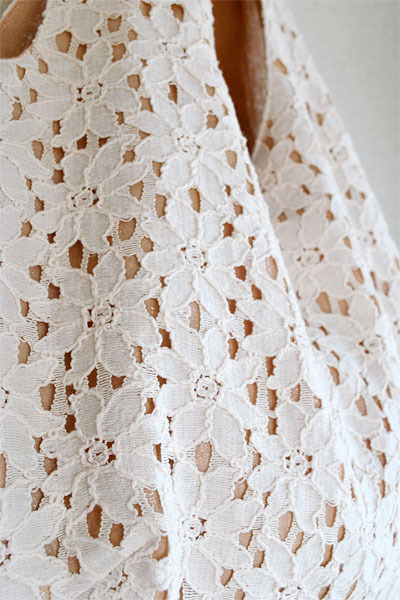 I was hoping to sew a casual tunic using this lace, but I just found the fact that I was generally not so keen on this kind of garments after having my first tunic. I looked odd. It was just not right, but I didn't know how to describe other than that. 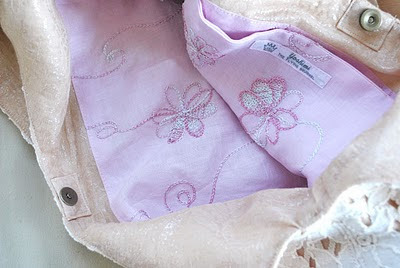 I used a light beige polyester fabric for supporting the cotton lace as well as an embroidered pink linen for the inner bag. Because I put a pocket and a set of magnetic closure inside of the bag, it's no longer reversible (again). FYI, I printed out the pattern larger (110%), as I carry so much stuff all the time. I'm 166cm (5'5"plus alpha), if you use me as a scale of the picture. By the way, my very flowery reversible bag was loved too much, and I have to say it's nothing but a ragged sac now. It was so very useful and I took it with me everywhere almost everyday till the silver coating of the fabric was too tired. Though I wanted to ignore that my beloved bag was getting rotten, I couldn't live like Linus van Pelt in the end. A bag cannot be a security blanket! I quickly changed my mind and I'm happy with this new one. I'm fickle? Maybe not. Probably, not. P.S. This is what it was.